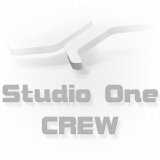 Studio One 4.1.1 is online! the latest maintenance update Studio One 4.1.1 is ready for downloading. We focussed on our new ATOM controller and furthermore we improved some of our new functions with more handy features. • [Browser] Crash on "Merge to Stereo File"
• [Macro toolbar] Potential crash on clicking "New Page"